When was the last time you took a close look at your website? Websites are meant to be living entities that grow along with your business. So, take a moment and think about yours. Has it changed at all in the past year or so, or has it looked the same for the past several years? Websites are not something you build once and then never touch again. Your website should be updated and maintained regularly. The look, feel, and function should change as needed to keep up with technological advances, search engine changes, and most importantly, your users’ needs. Mobile devices continue to flood the market, which means browsing the web from them will continue to increase. At the end of 2016, searches from mobile devices overtook desktop searches for the first time. Your website needs to be responsive and mobile-friendly to keep up with the changes. If your website isn’t mobile-friendly, users won’t keep using it and search engines will stop giving it visibility. Search engines are only interested in showing the most relevant result for a query. If no one is using your website because it doesn’t offer a good user experience, search engines will not consider it to be relevant. Your brand’s reputation could take a hit as well if you don’t have a mobile-friendly website. When a website doesn’t function on their mobile devices, 48% of users feel like the company does not care about them or their business. In addition, Google’s updates over the past few years make it clear – your website needs to offer a good user experience, whether on desktop or on mobile. 2. Analytics show high bounce rates across your site. Google Analytics can tell you a lot about how users are engaging with your website. 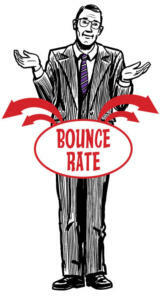 Bounce rates, the rate at which people leave, or “bounce” off, your site pages, are a very valuable tool. When viewed within the context of other metrics, they can tell you whether users find the content on your page valuable. A high bounce rate can indicate a technical issue, an issue with user experience, or an issue with content. Because homepages tend to be the catch-all for traffic, bounce rates will generally be higher there than other pages. This occurs simply because irrelevant traffic lands there at a higher rate. However, this doesn’t mean you can ignore it. High bounce rates on your homepage and other pages of your site could indicate users are not finding what they expect to find. Other metrics to consider along with bounce rate include: average session duration, average pages per visit, and conversion rate. This will give you a better idea of whether your users are finding what they need. If they’re not converting – or visiting other pages – then perhaps your page content and navigation are irrelevant or confusing. There could be several reasons why users are leaving your site without engaging. If you’re looking at these metrics and you see things like: a high bounce rate, low time on site, low pages per visit, and low conversion rate, it may be time for a website redesign. 3. 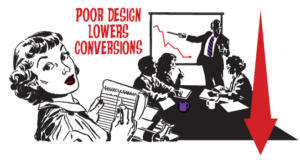 Conversions on your website are low. Adding goal tracking to your Analytics account is a great way to keep track of how well the traffic coming to your site converts into leads for your business. You can track phone calls, form completions, downloads, and more. Several different aspects can cause a low conversion rate on your website – an outdated or poorly designed website is one of them. Poor design and outdated information make it difficult for visitors to find what they need on your website. This indicates that there isn’t a clear path to conversion on your website. Your visitors may be getting lost or distracted along the way to your forms or checkout. And, even if they make it to your contact page, offer page, or checkout, they may be turned off by poorly designed pages and forms. Issues like this can also raise suspicion and cause mistrust in your visitors, especially if you’re asking for personal or payment information. A good website redesign will make your website visually appealing to your visitors. It will also address, and improve, the user experience it offers. 4. Your website still uses flash. Flash is an outdated technology and most browsers no longer support it. 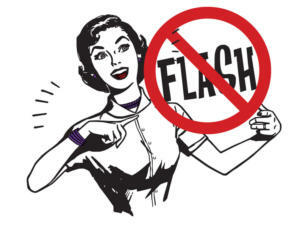 If your website is still using flash, your user experience is likely taking a big hit. Due to lack of browser support and the evolution of faster technologies, flash elements will cause your site to load very slowly. Then, when it does finally load, your flash elements may not even work. 47% of consumers expect a page to load in 2 seconds or less, and that percentage will only increase. If your page takes 3 seconds to load, you can say goodbye to 53% of your website visitors. Any longer than 3 seconds and you’re losing out on visitors big time. The scarce few that wait around will only be further frustrated by elements of your page not loading completely, or working correctly, and they too will leave your website. Your website represents your brand online – any experience users have on it will reflect back on it. If you’re not offering a good user experience to your website visitors, it could leave a lasting negative impression of your brand. 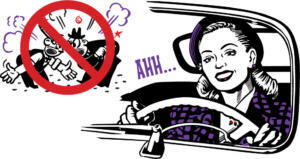 It could even damage your brand’s reputation. 5. Your website and your business goals don’t mesh. Your website is intended to be the online part of your business. It should support your business, not work against it. If your website doesn’t match your brand and support your business goals, there’s a disconnect somewhere. Usually, that disconnect indicates a need for a website redesign. Take some time to review your current business goals, and refine or update as necessary. Then, make sure your website matches, and supports you, in achieving them. If there is a mismatch or disconnect, you’ll want to get your website redesigned or reworked for a consistent brand across all channels. 6. Your website is slow. Users expect your site to load fast. They used to wait about 3 seconds before most of them would start leaving your site. Now, your users live in a high-speed world where they are always connected and they expect your site to load in 2 seconds or less, or else. Some of them, like Google’s PageSpeed Insights or Test My Site, will give you some recommendations on how to improve your website speed. Sometimes, however, the first step towards a faster website is a cleaner, more efficient design developed on a platform built for speed. A hosting provider who can deliver the speed you need is another necessity. 7. The content on your website is outdated. An outdated website design and outdated content often go together. Your website’s content is a big part of the reason search engines are indexing your pages. This is what your users are seeing when they land on your page. If it’s outdated with irrelevant terms and incorrect data, you’re not delivering what your users need and it paints your brand in a negative light. After all, if you can’t be bothered to offer accurate content or an updated design, your users will think you won’t bother to care about them and their needs either. 8. It’s difficult for you to update or change website content. When someone contacts us for a website redesign, one of the things we ask is what they like and don’t like about their current site. When it comes to what they don’t like, you can bet difficult maintenance and many updates are one of the items mentioned. You shouldn’t have to be an experienced website developer to update a blog post, or add an image to your website. Updating the content on your website should be easy. Sure, maybe you’ll need someone to show you how to do it the first time if you’re unfamiliar with the CMS (content management system). But, after that, you should be able to hit the ground running. If your current site is difficult to update in-house, it’s time for a different platform – and probably a redesign too (or at least a refresh). Once you can update the content on your website whenever necessary, providing the most relevant, accurate, and up-to-date information to your website’s visitors is easy! 9. The look and feel is inconsistent across the site. The user experience on your website needs to be consistent. When users are browsing your site, they don’t want to have to stop and think. The last thing you want is for a user to get distracted or thrown off by inconsistent design. You want as little friction as possible between the user and conversion. If the look, feel, and function of your site is inconsistent across pages, your users will easily become distracted or frustrated trying to navigate and they’ll just leave. 10. Your website has little to no visibility in the search engines. Your business should have a website, but it needs to be more than a placemat on the web. Plus, if your customers and potential customers can’t find your website, it won’t do much to help your business. Low or no visibility in the search engines can be caused by a lot of different things. If you’re not doing anything to market your website and your competitors are, that could be a large negative contribution to your visibility. It’s also possible your website is not designed to attract and engage visitors when they do land on your site. You might not have enough quality content for search engines to index in the first place. Perhaps your website is not built to be mobile-friendly. Your robots.txt file could be blocking search engines from even crawling and indexing your site’s pages to begin with! There are a lot of reasons why your website might not be showing up. You can bet a website redesign from an agency that keeps SEO in mind will help a little (marketing post-launch will help a lot). 11. Your website looks outdated, especially when compared to your competitors’ websites. 81% of consumers research online first before buying. On top of that, about 90% of your prospects will visit your website before calling your business. With all of that initial research, you can bet potential customers are seeing your website – and your competitors’ websites – as well. How does yours look in comparison? Think about this: it takes 12 positive interactions for a customer to overcome just one negative experience with your business. An unreliable, disappointing, or poor experience on your website is a negative one. If your competitors have updated websites with better user experiences, then they’re starting off ahead of you. It’s going to take a lot of work to overcome that initial negative, and get potential customers to contact you over a competitor with a better website. 12. Customers have expressed negative feedback about your website. Customer feedback is invaluable for your business. Take a moment and think about how many times you’ve had a great, or not-so-great,experience with a business. Out of those experiences, for how many did you notify the company either through direct contact, social media, or a review? For every customer that speaks up, there are plenty more who have stayed quiet. The number tends to sit around 26, as in for every one customer who speaks up, 26 have simply stayed silent. So, when you do get customer feedback, pay attention. When you ask new inbound customers how they found you, if none of them are saying from your website, it may be time to consider a redesign. If you receive negative feedback from a customer about your website, then it is definitely time to consider a redesign; or consider at least restructuring or refreshing depending on the context of the feedback. 13. 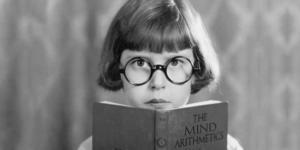 Your website pages are narrowly focused on one specific keyword instead of addressing topics. Over the past few years, search engines have consistently moved away from focusing on individual keywords and more towards broader topics. With the evolution of semantic search, machine learning, local search, and voice search, it’s not a good move for your website’s web presence to maintain a narrow focus on ranking for a single keyword. These changes, plus additional types of content shown in search results and SERP (search engine results page) redesigns, means that “ranking #1 for x” doesn’t mean what it used to years ago. For example, a SERP could include images, video, social media pages or posts, local business listings, and more before the organic website results are shown. Plus, Google is always testing new layouts for both organic and PPC. Early in 2016, Google even removed PPC (Pay-Per-Click) ads from the sidebar of the SERPs and instead began listing them at the top of the main results. Instead of focusing on a single specific keyword, a better approach is to research and choose the most relevant keyword topic. Then, use that topic as a focus for the content on a page. This broader topic approach gives users and search engines a better understanding of the content on your page and its context. This allows your content to begin gaining visibility for the variety of terms users will use, even if the phrase they’re using has never been searched for before. 14. Your website ignores social media. Social media is not going away. No matter what your industry may be, your potential customers are on social media, and so are your competitors. Social media profiles claimed for your business and fully completed become more properties online for your business. Linking them to your website and linking to them from your website makes it easier for potential customers to find and connect with you on multiple channels. In addition, social media gives you a platform to curate useful content for your audience, promote your own content, and build a valuable community your customers will want to join. Not to mention, the engagement you receive from sharing your own content helps boost the authority of that content for other users and for search engines. 15. There is no method or strategy for building an email list on your website. It may be a cliché saying, but in our always-connected, multiple channel world: it’s true. Your business’s future cannot rely on only one channel. When it comes to marketing channels, you’re looking at either owned, paid, or earned. A strong, in-house email list is an owned channel. It will be unaffected by search engine algorithm updates or competitors bidding more for your campaign keywords and so forth. 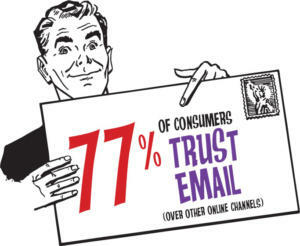 77% of consumers tend to choose and trust email over other online channels. Add to that the fact that email is still a valuable marketing channel, and there is a convincing case for making an effort to build your own list. 16. Your website does not fill the screen. In design trends of years past, it was popular to place your website inside a frame with a border. Now, responsive, mobile-friendly designs are a necessity for your website. This means your website shouldn’t live inside a box. Your website should fill the screen, instead of being limited by borders. Phone screens may be getting bigger and tablets may be getting more popular, but you’re still dealing with smaller screens than desktop. You cannot afford to have a border that cuts even further into the space available for displaying your website. You cannot afford to waste that digital space. 17. Your website is still using splash pages and annoying pop-up ads. If you want your website to succeed online, you have to offer a great user experience. Splash pages and pop-up ads that block content upon entry are not your friends – they’re not good for your users and they’re not good for your website. Google has gotten so fed up with them, they released what has been called the Mobile Interstitial Penalty or “pop-up penalty”. Yes, this is mostly targeted towards mobile devices. However, its purpose is to ensure that users who click through to a page can access the content they wanted to see without issue. With that in mind, you do not want to do anything that will block the content your users clicked through to see. Bonus: Your website’s security certificate has not been upgraded to SSL. Security matters – end of story. As technology evolves and our lives become ever more connected to the internet, the risks increase and security becomes more and more important. The same goes for your website. Users like to feel secure when they’re browsing the web, especially when it comes to making a purchase. 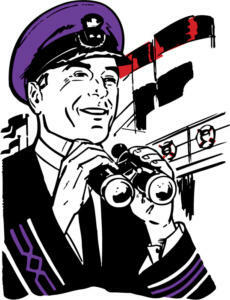 Search engines have recognized that preference and have been rewarding sites for upgrading their security measures. Upgrading your website’s security certificate to SSL or something even more encrypted is important. This helps to increase the security of your site and it helps your users feel more secure when they visit your site. An SSL certificate on your site is a trust signal and can help you start relationships with new customers on the right foot. New customers likely don’t know your brand yet; they don’t have the same level of trust current customers do. When they start their research online and are checking out your site, making sure it is secure is the first step to building trust with them. If they visit your site and it is not secure, they may end up leaving and viewing your brand with suspicion. That’s definitely not a good way to start a relationship! A full redesign isn’t the always the solution to every problem on your website. Sometimes a re-platform solves the problem. At other times, your website just needs a refresh or some slight reworking. However, if your website is showing several of the signs on this list, it’s time to redesign your website. Luckily, the team at MIND is here to help. 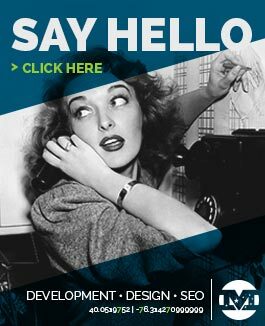 Contact us today at (717) 517-8383 for help with your website!